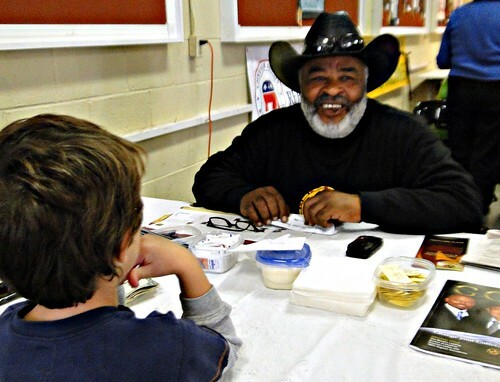 Pittsboro, NC — One of the highlights of the autumn is the Chatham County Fair. Now in it’s 63rd year, the Chatham County Fair has an old-timey, farm and family focus that’s a breath of fresh air. 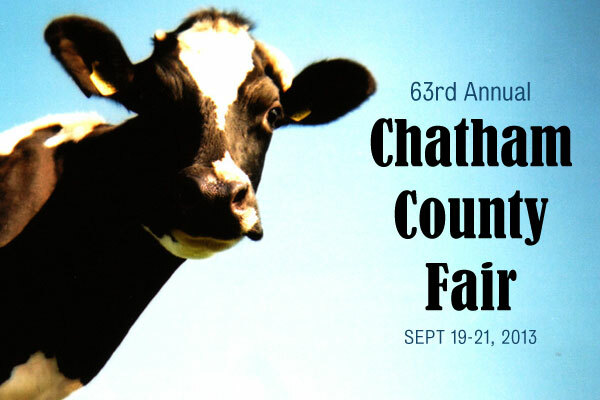 The 2013 Chatham County Fair runs from 5 PM Thursday to 10 PM Saturday, September 19-21. It’s held on the fairgrounds less than a mile east of the Courthouse in downtown Pittsboro. See it on a map. There’s a midway with lots of rides and games for kids, spectacular music acts including Rhonda Robichaux, Haw River Boyz, Three Rivers Gospel Group and about a dozen other bands and performers. But what really sets the Chatham County Fair apart is the old-time farm and family focus that reflects Chatham County’s roots. Friday evening, Shetland Sheepdogs Duck Herding Demonstration kicks off the evening at 4 PM. Saturday, there’s Line Dancing, a Little Miss Chatham Pageant and a County Fair Talent Show. You’ll find a Petting Zoo at the Chatham County Fair, Happy Dan the Magic Man, Zoe the Clown, Camel and Pony Rides and prizes for the biggest pumpkin (200 pound minimum) and biggest watermelon (100 pound minimum). 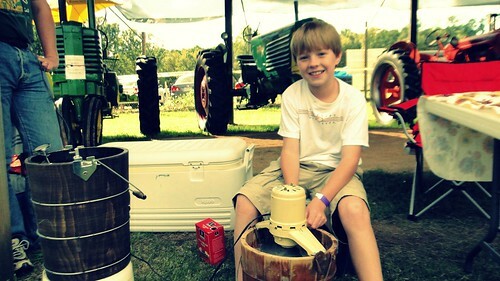 The Chatham County Agricultural Fair grew out of the tradition of “Achievement Day” held annually by Home Demonstration and 4-H Clubs in the area. This event offered a chance for people to display their talent at household arts and receive prizes for their work. The Farm and Home Agent of Chatham County, Mildred Bright Payton, presented an idea for a carnival and County Fair to be held annually, with the proceeds being used to help fund the prizes for the Achievement Day. On May 30, 1949, the Farm and Home Organization voted 16 to 2 in favor of the county fair. The first Chatham County Colored Agricultural Fair was held in 1950 on the Goldston Lumber Company grounds, which were rented for a fee of two hundred and fifty dollars. Through mud, rain and leaks, the event attracted about three thousand people and held exhibits in a rented tent. Preparation of the fairgrounds required a lot of work, but the fair was considered a success. The second fair, September 17-22, 1951, was held on a new tract of land offered by the Pittsboro Mayor J.A. Farrell Sr., rent-free to the Fair Association. More than one hundred exhibitors displayed their work, including canned and baked goods, clothing, needlework, and horticultural products, for an estimated seven thousand guests. By the year of the third fair, the land was purchased from Mayor Farrell for one thousand dollars. Held September 14-19 1952, this fair was the first to use a forty by one hundred foot exhibit hall constructed to house the exhibits. 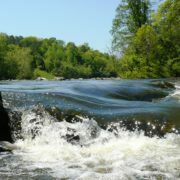 The land bought in 1952 is still owned and run by the Fair Association; the property covers 12 acres within the city limits of Pittsboro, in Chatham County. The Chatham County Fair, held annually on these grounds, is a great place for families to experience and learn about local agricultural culture. With food, music, entertainment, rides and exhibits, it promises to be an exciting outing for any family! 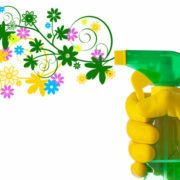 More info: Chatham County Agricultural & Industrial Fair Association. Photos by mamabettbett from her wonderful Chatham County Fair photo set on Flickr. Cow picture by Jelle.